Web hosting has to be one of the most competitive technology marketplaces there are, with literally thousands of web hosts out there, all competing for the business of millions of website owners. As with any industry there are good, bad and often sheer ugly. Security is paramount, especially for ecommerce sites, so it’s vital to choose a web host which is going to deliver on security and make sure your site is available to your customers at least 99.9% of the time. What are web hosts anyway? You may know this, especially if you are working on your 2nd website or beyond, but even experienced webmasters may not yet have researched in depth their choices for hosting provider. 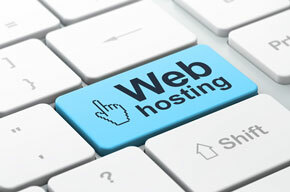 A web host provides the server your website is stored upon. They facilitate your site’s presence on the web. They provide the hosting space and the connectivity for your website, which is uploaded to the net via FTP: File Transfer Protocol. For smaller or personal sites this is relatively straightforward. Complex sites or business websites may need database support and application development platforms readily available from their host. The host will also provide a Control Panel for their customers to access and manage the web server and their websites’ settings. Using shared web hosting means sharing a server, via your provider, with hundreds or thousands of other sites. All the hosted domains will share the same server resources like RAM and CPU. This kind of service is basic but suitable for personal sites, or smaller business websites. Dedicated WordPress hosting is just for WordPress users and includes things like WordPress updates and daily site backups. There is usually also premium level WordPress support available with the hosting so for the committed WordPress user, although sometimes more expensive, it is an option to consider. VPS stands for Virtual Private Server, where a server is divided into virtual locations for each customer. This means resources can be allocated more exactly and customers can be given “root” access, sometimes also responsible for patching or maintenance. VPS hosting can give more RAM and CPU, and you don’t have to share your “portion”, this gives more power and flexibility to your website. Roughly translated, better performance for your customers if your website traffic is substantial. Bigger businesses will have their own UK dedicated server, where maintenance and upkeep is provided by their contractors or IT department rather than a hosting service. Organisations have total control, so the server is created with the right CPU and RAM required to fully optimise the website, or sites. Cloud hosting is a newer concept where servers are clustered, and the hosting is shared between them, if one fails, the burden is shared and other servers pick up the pressure meaning no down time. The Best Cloud hosting UK is decentralised giving customers a powerful, reliable and scalable solution. How to choose the Best UK Web Hosting provider? We’ve spent some time investigating the Top UK Hosting providers out there. Assessing each on their merits, services, reviews and pricing to create what we feel is a list of the Top UK Web Hosts available right now. For sure there are other providers, niche and generalist hosting companies to choose from. You may feel we’ve missed one or even included one you wouldn’t agree with, this list is not infallible. No one provider ever promises 100% completely satisfied customers. However, our choices reflect those providers who consistently have good reviews, have good trading history, and offer the right support package should something go wrong. Downtime happens, it should be rare, but it does happen. Make sure you choose a provider that has a demonstrable history of service and problem resolutions, who aims for 100% up time and 100% security too. They may only achieve up time 99.9% of the time, which is a reasonable result, but they should be aiming for the 100% mark. Does the provider match your needs, do you use a specific software or operate in a niche that may need something a little different? What are the costs, contract terms and money back guarantee periods? How does setup or transfer work – what support is available for this? Security – both resilience to online attacks and necessary backups. System performance – what is their track record for up time and what happens when there is down time? Online reviews often give the game away here. Support, both at setup and later. Are there premium support options and do you need them? We spent our time searching out the top UK web hosts to hopefully save you some time in your search for a provider to host your website. Only you know what you are looking for in a hosting provider and exactly what your website requires. We’ll leave you with the suggestion of listing YOUR websites features, and your wants and needs so as you are doing your own comparisons you can tick off which hosts meet which of your criteria. List your sites features e.g. Ecommerce, what are the implications for payment processing and technical support? Do you need @”yourdomain.com” email? Then your service expectations e.g. Do you need 24/7 in person telephone support or does online chat work well for you? Backup – how, how often and who restores from backup if things go wrong. Contract terms and tie-ins. What happens if you want to change provider? Be wary of long term plans, 2 year and 5 year, make sure there is a get out. Are there any usage restrictions? Some hosts will suspend accounts if CPU ceilings are reached. Be aware of special offers – compare the signup cost and the long term/renewal price. Personal hosting options start from £3.33 and business packages from £19.99. eUKhost.com have some good “community” and support options via their own forums, blog and knowledge bank. Key service features and USPs for their hosting services include UK based data centres in Reading and Maidenhead, 24/7 support (of course! ), and a fully managed service for any package. The latter being interesting at any level as most hosting providers will charge for premium services. eUKhost also offer a no contract, money back guarantee, all things we like to hear. UK based and registered they boast 14 years industry experience, UK public sector clients and over 1,200 UK based servers. With a website targeted more at professional web developers they offer web space between 3GB and 30GB, 319+ click and build apps, and a free domain (choose between .be .nl .eu). Packages start from €1.50 rising to €27.79 and upwards and are tailored to Linux and Windows users. 040hosting.eu promise high performance for successful projects, with 100% performance and availability. They also provide software for layout and design with a website and mobile website builder and a suite of SEO tools. 040hosting.eu data centres are based in Europe: Strasbourg(FR), Rotterdam, Haarlem or Amsterdam(NL), Düsseldorf(DE), London(UK), in USA: St.Louis(MO), Los Angeles(CA), and in Asia: Singapore, which they test at nearly 100% and employ complex security measures compliant to all standards. 040 are one of the leading web hosting providers worldwide and were founded in 1996, so top security is expected alongside its comprehensive and affordable package of products. Host1Plus currently is not offering an UK server location! “Solid Web Hosting” from host1plus.com. Host1Plus describe unlimited space and traffic for your website, their key selling points are solid performance, extreme scalability, and full support. The interactive map totals over 43,000 clients around the world with server locations in Europe, USA, South America and South Africa, which are premium data servers to give high connectivity and better reach. Package features include high speed, intuitive control panels, application installers, backup management, unlimited accounts and a PHP selector. They offer multi-level support with free basic support, and extra care support from $60. Hourly premium support comes in at a $100 per hour. They do have a comprehensive VPS offering and reseller and affiliate programs for more advanced partners. Founded in 2008 they again share details of their server locations and core team members and are a registered UK and Lithuanian company. Core company values are customer care, flexibility and innovation, reason and respect, and value and choice. Packages start from $5.00 for personal users and $10.00 for business users. Web hosting plans are “carefully crafted with care” from siteground.com. They give standard features like free domain names, 24/7 technical support and boast 99.9% up time but also promise custom made solutions to make websites safer and better supported. What siteground.com say is they have developed their own solutions to help protect your website from hacks and have created techniques to make a website run over a hundred times faster. They have specific hosting solutions for Joomla, WordPress, Drupal and other popular web applications. They do of course have a dedicated portfolio of WordPress services. Their datacentres are in the USA, Europe and Asia-Pacific. SiteGround were founded in 2004 by a few University friends (aren’t all good tech start-ups?) and today have over 280 employees, a number still growing alongside their 450,000+ hosted domains and customers. Their “About” section is detailed and shares photos of the key team members, alongside collages of other employees, so there is no nameless cold feel like some other web hosting providers. SiteGround give an impression of care, tailored services and personal support. Basic packages start from $6.95 with $9.95 and $14.95 options all at 50% off. Site5.com currently is not offering an UK server location! Site5.com is apparently hosting for “Serious Web Designers” and services include basic, pro and “Lightning Speed” “HostPro+Turbo” options, from $4.95, $8.95 and $11.95 respectively. Their plans include unlimited bandwidth, disk space, and free migration, disaster recovery backup and 24/7 support. They do also offer a money back guarantee of 45 days for shared/reseller hosting and 15 days for virtual servers. More unique within the industry is the 30 day free trial which can be applied to web hosting, cloud hosting or reseller hosting in UK as a way to convince you that “Site5 is by far the best website hosting provider out there today”. Site5 list a number of “healthy hosting advantages” to set themselves apart including high end servers with a low number of customers per server, in house support, no gimmicks, a HUGE 45 day money back guarantee and an in house developer and engineer team. Site5 staff are based worldwide and are all “remote” workers purportedly reducing the carbon footprint and contributing to their “green hosting”, boast of green servers, employees and company. Vidahost is no longer available! Company: Paragon Internet Group Ltd.
Vidahost.com have an upbeat site with scrolling “hosting (insert – everyone!) for life” banner which illustrates their drive to do just that. They strapline with “making website hosting simple for everyone” and list three main options on the homepage for WordPress hosting, cloud hosting and managed VPS. They also immediately introduce “moving” to Vidahost and offer to do that for you “quickly and carefully”. Use our promo code – SMILE. Trusted by 600,000 websites, Vidahost are an experienced provider with over 70,000 website owners and over 10 years of expertise. They promise to be honest and transparent and always on hand to help. They list key clients on their website including the NHS. Interestingly, Vidahost were founded by 16 year old business partners Dom and Seb who only really pushed the business once they graduated from University. Standard services from Vidahost include 24/7 support, website management, one-click app installs, 99.9% up time guarantees and free daily website backups. Their cloud hosting starts from £2.99 and their most popular medium plan is £5.99. Tsohost.com introduce their homepage with UK Cloud Web Hosting from £1.25 per month, although that appears to be based on a yearly subscription, monthly packages start from £2.99. Price plan features are comparable to others with a basic package including 500MB web space, free backup and migration. Use our promo code – SMILE. Selling points for Tsohost include easy website management, fast site loading and one-click applications. Their support line is a UK based regional dialling code rather than an 0800 number and they give telephone support from 7am-midnight with 24/7 online support. Founded in 2003 Tsohost share a detailed company history and “Meet the team” pages really showing the people and progress behind the company. Their testimonials page includes both quotes and video testimonials for another good interpersonal touch. Hosting.co.uk boast genuine reviews from loyal customers with 24/7 support without outsourcing and delays and a comprehensive 30 day money back guarantee and free migration service. Their hosting service is feature rich, with instant setup, one click installation across packages and using the latest hardware. Packages go from £2.00 per month, paid in full, annually and they are running a 15% discount offer for April. A European company, they don’t share too much about the company history or experience but do have solely UK based data servers in the Midlands which are highly power efficient and classified as green. They also use Intel powered low power CPUs. Namecheap hosting are giving away a free .website domain name for new hosting accounts. They are targeting the smallest single page website creator right through to dedicated powerhouse server users. Namecheap promise “powerful tools and rock-solid security”. Packages start from C$13.13 per year with a 100% uptime guarantee. This provider quickly list their plus points which include fast, well equipped, high tech servers, some of the best uptime statistics available, top security and total support. Founded in 2000 by a single entrepreneur, they now have over a million customers and three million domain names under management. Their mission is service, security and support. Namecheap have data centres in North America and Europe and promise to load them more lightly than other providers.